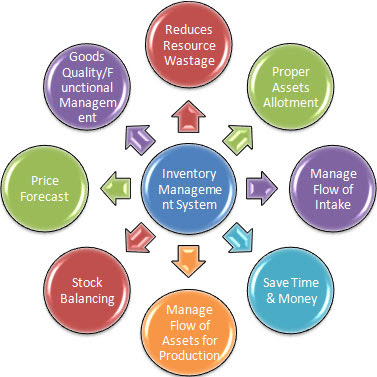 Inventory management software is a specialized computer based program used to track different product levels, sales, orders and deliveries. There is no restriction as to which type of industry can use inventory management software. Retailers and manufacturing organizations most widely use this software because it makes it easier to manage different aspects of their operations. But there is one distinct difference and additional use that manufacturing firm's use this software for. They use it to create word orders, bills for materials, and a bunch of other production related documents and paperwork. This software is used primarily because it helps prevent both shortages and excessive amounts of stock. This is a new and innovative method to organize and store essential inventory data. It is also a lot more secure than previous methods used for data collection and storage, such as hard copy forms. There are a number of different parts that make up this software, which work collectively to make a control system for organizations. These control systems in turn are used to extensively and efficiently manage stock and inventories. There are four distinct parts of this software: Asset Tracking, Bar-coding, Order Management & Service Management. Asset tracking is simply used to locate a particular item by using any of the many different types of tracking criteria, but the most common is the bar-code. This leads us to the next component, bar-coding. Bar-codes are extremely vital because it through bar-codes that information and data of a particular item is input into the software. Without bar-codes there is no viable method of inputting information into the software. Order management is used to help with realizing when the supply of a particular product is reaching low levels. This part of the software informs the personnel to reorder a particular item. Without this, companies will constantly be running out of products. And service management is the part that is vital for companies that offer services, rather than products. This helps them keep track of the services they offer and the prices that they charge for them. There are a number of great advantage of this software, which is why it has become so popular. Firstly, it helps save a lot of money by lowering costs. The inventory of a particular company is worth a lot of money and it takes a lot of man power and storage room to take care of it. But with this software a large workforce and checking availability of parts and products are not required. Moreover, it helps to maintain a regular flow of supply, so sales are not lost. This software also helps wholesalers, manufacturers, distributors and retailers make their warehouses, and everything within it, operate more efficiently. Products that are either sold at a high ratio or have complimentary products sold with it will be placed together in the warehouse. The location will be such that picking, shipping and packing will be fast and easy. In addition, this software also gives management up to date information about the current levels of stock of all products. And the last major advantage is the amount of time that is saved using the software. This is possible because employees can be provided rights to order, transfer products and carry out other tasks without having to compromise on the safety and security of the company. Any business that sells physical products should have some form of inventory software. Find out more about new cutting edge inventory management software at our web site.